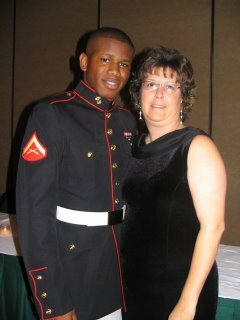 This is me and Cedric Johnson- US Marine. 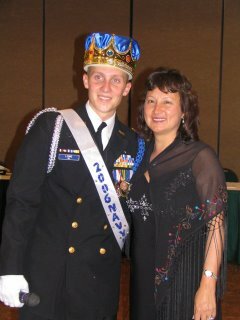 He was the CO of the ROTC Unit last year and came back to the Navy Ball this year. It was so great to see him! He's just one of my favorite friends of Kristina and Kevin's. King Kevin Lowe and his mom Debbie. 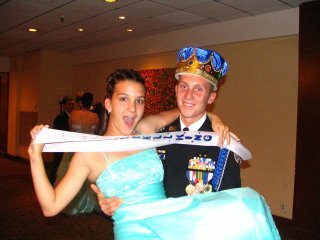 So proud he was crowed King of the Navy Ball! King Kevin and his beautiful date.. goofing around at the ball. Every year we have a Navy Ball for the ROTC unit at our High School. Last night the ball was held at the DoubleTree Hotel. We had a great time. My husband is retired Army, and all parents that are military active or retired are encouraged to wear their uniforms to the ball. Bennie by DH wore his Army Class A's and looked so handsome! Kristina and I got all dolled up and danced the night away. Looking forward to next year... hopefully Kevin can attend to as a US Marine! 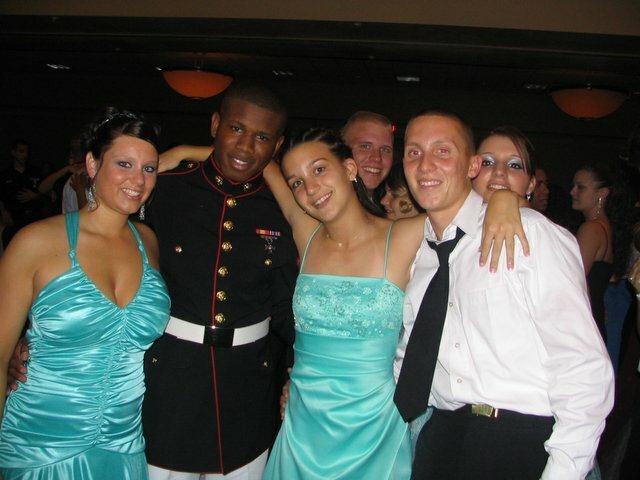 He joined the Marines and leaves in September for Basic Training. OORAH~! New York City, Spring and My Baby turns Sweet 16!